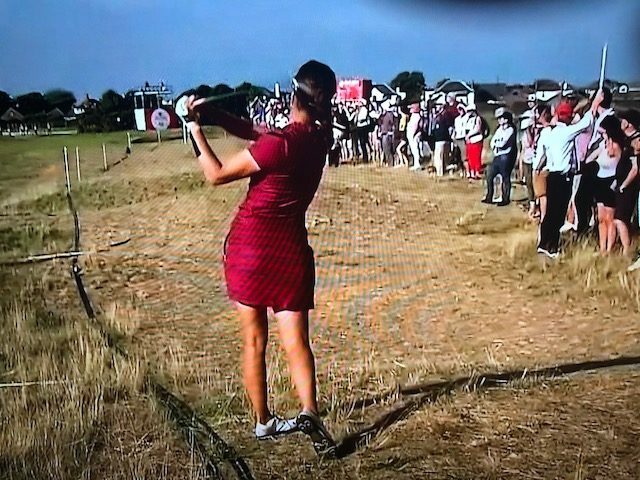 Gabriella Hall from the rough at 16 at Royal Lytham-to 15 ft. The lazy days of August are upon us as the world of golf prepares for its large major of the year-the PGA Championship at Bellerive Country Club in St. Louis. This weekend completed the Ladies British Open at Royal Lytham and St. Annes and the PGA Tour Stop at Firestone Country Club (Bridgestone WGC). Tiger was pronounced the favorite to win the WGC event as he has had a ton of success at Firestone Country Club with 8 of his PGA Tour victories here. The media was pretty psyched given that Tiger has been more than competitive in 2018 and I believe has come from nowhere to the top 50 players in the world. It’s hard to think of Tiger as the 50th best player in the world. We all want him to win again for a number of different reasons. He’s great for the sport and has developed a fine sense of maturity in his approach to his comeback which has all of us rooting for him. What we all really fail to realize including the media is how hard golf is which is a testament to how great a player he really was (and may be again). As time goes by, the odds of Tiger winning a major again are getting longer-not impossible but simply more improbable. 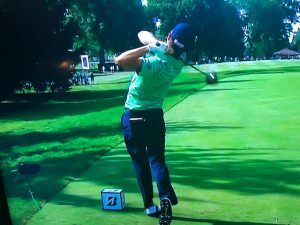 In competitive golf, especially at the highest level, you can’t make any mistakes. Francisco Molinari played a flawless final round at the British Open and didn’t make a mistake–it was so boring that he was hardly featured on television as he continued to hole 5 footer after 5 footer for par. Tiger’s name was atop the leaderboard at Carnoustie at the 9th but he made a poor decision on the 10th, made double bogey and a bogey on 11 and was not a factor in the tournament again. It’s a very thin line and it seems that the level of competition is really amped up in this current crop of young players. Tiger no longer has the intimidation factor against the competition which he held during his time of greatness and it’s not because of his play. At Carnoustie, he was the best driver of the golf ball that week. There’s a lot of talk and perhaps substance that Tiger will play Phil Mickelsen in a $10M dollar winner take all match to be played during this Thanksgiving Day weekend. 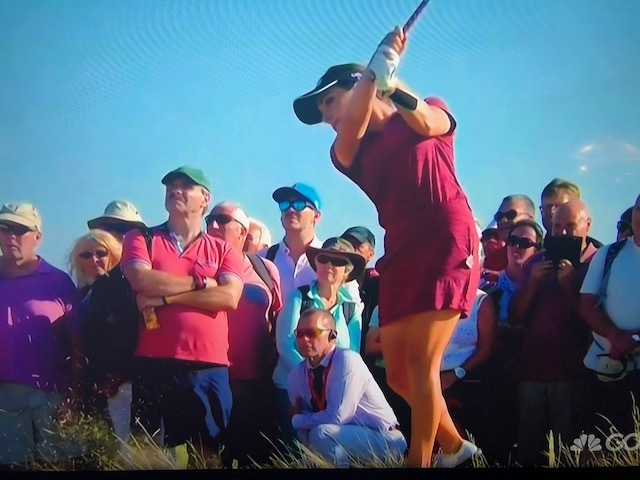 My personal opinion is that is damaging to the reputation of golf as a sport. Neither player needs the money and the hype is the supposed duel between rivals that has gone on for years. I think it’s fair to say that Woods has already won this duel so I’m at a loss as to why we should be interested. It’s probably all about the almighty dollar but I don’t think this will amount of any ratings success. Maybe if they played a $5 nassau like we do on the weekends with $10M donated to charity, the event might make more sense. Justin Thomas won the event but it was amazing that no one challenged him all day. Rory McElroy, Jason Day, Ian Poulter and others would have to shoot some low scores but the scoring went up not down. Each player was determined to bomb the ball off the tee as far as they could to get into position to make birdies. Instead, a lot of tee shots were missed right and left with tree trouble and relatively high rough that prevented low scoring on Sunday. Unlike Molinari in the Open Championship, Thomas made more than a few mistakes but recovered from each one of them to shoot a few under par with a no pressure victory. Thomas’ wedge play was very effective and inspirational as he hit a number of gap wedges to positions to make par. The power game was there for him as he blasted a number of 320 yard+ drives. He actually missed a number of birdie putts that could have resulted in a much larger margin of victory. Dustin Johnson came out of the pack and shot 29 on the front nine and then recorded another birdie on 10 to go 11 under. The magic ended on that hole as he would par in to shoot 64 and finish 4 shots back. Gabriella Hall played a flawless round of golf at Royal Lytham and St. Annes besting 54 hole leader Pornanong Phatlum from Thailand. Hall is from England is certainly not a big star on the LPGA Tour but this was the best week in her career. Her swing mechanics were absolutely terrific as she hit some terrific shots on the way to the house. Hall was relentless and shot 65 to be at 17 under par for the event. She made perfect shots when she had to on the back nine particularly on the very difficult 17th hole. Hall assumed the lead in the event with a birdie on the 16th as Phatlum made a terrific par after a wayward tee shot. The 17th hole has claimed many victims in the past and Adam Scott lost the Open Championship on that hole. Phatlum had led most of the tournament but her tee shot found a fairway bunker on the left side of the fairway at the 17th which led to a costly double bogey. Hall never looked back and pressed on with a tee shot down the middle and a long iron shot to the green. American players were nowhere to be found on the leaderboard or even close to the top. Lexi Thompson decided to skip the event. Hall was the first player from England to win a major championship in 14 years and her first victory is a major. I had the opportunity to play Oakmont Country Club in Pittsburgh last weekend thanks to the hospitality of some very special people. 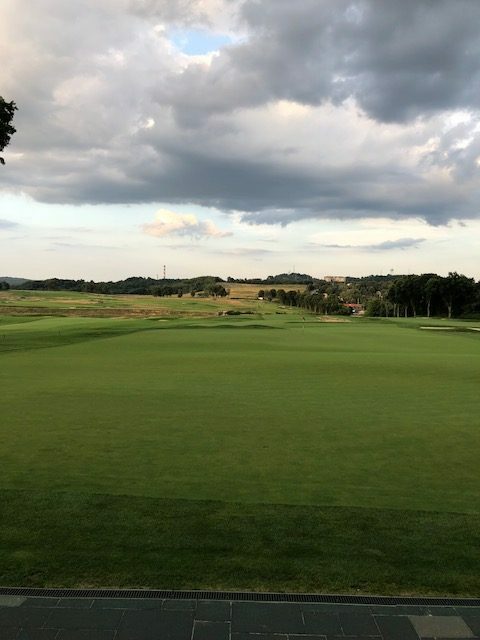 The experience for me at Oakmont was phenomenal and I was very impressed by the ambience of the club. The Club hosted the 2016 US Open which was won by Dustin Johnson and will host the Open again in 2025. The club has hosted 19 major championships. The club is 115 years old and opened in 1903 from farmland that was converted to a links style golf course. 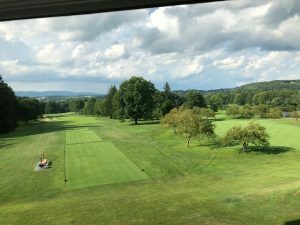 The course straddles the Allegheny River but has no water hazards but has some of the fastest greens imaginable. I was right at home in this venue as the Monterrey Peninsula Country Club’s greens are as fast as Oakmont’s so I had a pretty good day with the putter. I had a pretty good day with everything else as I never found the rough and waved fondly passing the Church Pews on the 3rd and 4th holes. I was disappointed as I thought I had conquered the 3rd hole with a 3 wood shot that ran up the green but, alas, didn’t quite make it and ran right back down. It is a very tough course but wonderful to play. especially when you don’t put the ball in the rough. I enjoyed it immensely especially watching our collegiate player host shoot 75.